CREAM is offering a total of 20 Ph.D. positions and 3 postdoctoral positions, which will be formally advertised in September 2009 with expected start dates in late 2009 or early 2010. CREAM is an EC funded Initial Training Network of 13 partner organisations and 9 associated partner organisations from 9 European countries. The partners in CREAM represent the main sectors involved in chemical risk assessment (industry, academia,regulatory authorities) and who are interested in exploring how mechanistic effect models can add value to the risk assessment process. The overall aim of CREAM is to develop and experimentally validate a suite of mechanistic effect models that are based on Good Modelling Practice. CREAM will provide world class training for the next generation of ecological modellers, emphasizing transparency and rigorous model evaluation as core elements of the modelling process. We are looking for candidates with experience in one or more of the following areas: population ecology; ecotoxicology; ecological risk assessment; ecological modelling; programming. Salary and terms of employment will be in accordance with Marie Curie rules of the European Commission (http://ec.europa.eu/research/mariecurieactions/careers_en.htm). According to these rules, applicants must be nationals of a member state, associated country or third country. They must be nationals of a country other than that of the premises of the host organisation where they will carry out their project. Researchers must not have resided or carried out their main activity (work, studies, etc) in the country of their host organisation for more than 12 months in the 3 years immediately prior to the date of selection by the host institution (short stays such as holidays are not taken into account). Applicants should send CV, list of publications, reprints of relevant publications, copies of academic transcripts, two letters of reference including contact information of the referees, and a one-page statement of applicant`s expected contribution to and benefit from participation in CREAM. Applicants should clearly indicate (preferably indicating priority of preference) for which CREAM project(s) they would like to be considered. Applications should be sent by email to volker.grimm@ufz.de. Details on the projects are described on the corresponding webpages of this site. Details on the job announcements are linked to pages desribing the project partners (see also the overview table below). Potentially interested applicants are encouraged to contact the relevant partners prior to formally submitting an application. Positions are subject to funding. tejadi penyusutan lahan pertanian mendekati 20%?. Project The LBB is offering a 3 years PhD position for the development of highly-adherent and strongly-cohesive fluorocarbon nano-coatings for intravascular stents, and bio-mimicking coatings for cardio vascular implants. The proposed PhD project focuses on the surface treatments of metallic biomaterials with different plasma technologies (polymerization, functionnalisation, implantation, etching), complementary nanotechnology tools (AFM for imaging, in situ corrosion and mechanical properties), surface characterization techniques (XPS, ToF-SIMS, NEXAFS, X-PEEM), and others. The PhD student will be involved in an international multidisciplinary project and it is foreseen that the student will be sent out for research stays to deepen the cooperation with our worldwide partners (France, Belgium, Argentina, Brazil, Spain, Mexico, Italy, Germany) and be involved about new methods/ideas and implementation issues at the cutting edge of the science. A co-tutelle de thèse with French partners might be envisaged depending the ability, personality, and motivation of the candidate. Research at LBB is highly project-oriented, and students with different but complementary backgrounds are often working together on a common project, each exploring a specific facet. Skills A master degree in chemistry, physics, materials or engineering is highly recommended. Prior experience in vacuum, surface modification by plasma or plasma chemistry is considered as an added value, but not essential. Working languages are French and English, the candidate should rapidly become fluent in at least one of the language mentioned above. Work environment LBB is a project-oriented, efficiency-concerned, and truly cosmopolitan academic research Laboratory, with students and researchers with different but complementary backgrounds coming from Canada, France, Italy, Belgium, Iran, Indonesia, Australia, Mexico, and others. For more information on our works and our national and international partnerships, please visit www.lbb.gmn..ulaval.ca. Laval University is the oldest university in Canada and second in North America, after Harvard, and remains one of the leading universities in Canada. The university campus is located within the city and provides everything needed for an enjoyable student life (www.ulaval.ca). Québec City is a lively town in the heart of the province of Québec, known for its excellent cuisine, cultural life and is embedded in a fantastic landscape ( http://www.quebecregion.com/e/). Jakarta, Kompas - Lembaga Ilmu Pengetahuan Indonesia mendata kekayaan intelektual atas pengembangan dan riset berbagai jenis tanaman yang ada di kebun raya. Bunga picis kecil atau Hoya lacunosa menjadi contoh tanaman bunga hias yang diprioritaskan mendapatkan perlindungan varietas tanaman dari negara layaknya paten. ”Perolehan hak atas kekayaan intelektual pada jenis tanaman tertentu berarti menghargai perisetnya. Selain itu, juga memberi kontribusi perlindungan ekonomi bagi negara ketika tanaman tersebut dibudidayakan dan menjadi komoditas perdagangan internasional,” kata Kepala Pusat Inovasi Lembaga Ilmu Pengetahuan Indonesia Bambang Subiyanto, Selasa (25/8). Bambang ketika dihubungi sedang berada di Kebun Raya Purwodadi, Pasuruan, Jawa Timur, untuk memberikan sosialisasi mengenai pentingnya pendataan jenis tanaman yang berpotensi ekonomi. Sosialisasi juga akan dilanjutkan di kebun raya lainnya, seperti Kebun Raya Bedugul, Bali. Beberapa kebun raya yang dikelola LIPI saat ini meliputi Kebun Raya Bogor, Cibodas, Purwodadi, dan Bedugul. Berdasarkan riset Sri Rahayu dari Pusat Konservasi Tumbuhan Kebun Raya Bogor di bawah LIPI, jenis tanaman hias hoya itu berbunga sepanjang tahun, kecuali pada Mei-Juni. Pembentukan bunga secara majemuk dan bertandan ini berlangsung cukup lama 4-5 minggu. Satu tandan menghasilkan belasan bunga yang tumbuh secara berurutan. Saat satu kuncup bunga mekar dapat bertahan selama tiga sampai empat hari kemudian layu. 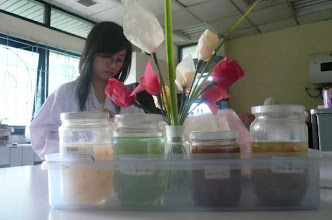 Selama mekar bunga mengeluarkan nektar berwarna kuning dan menimbulkan aroma harum. PARIS, August 11, 2009 (AFP) - Sequencing the first human genome cost billions and required an army of scientists, but now a trio of researchers in the United States have matched that feat for the price mid-range BMW, according to a study published Monday. "This can be done in one lab, with one machine, and at a modest cost" of about $50,000 (36,000 euros), said Stanford University professor Stephen Quake, who designed the study and lent his DNA for the task. At the close of the 20th century, piecing together a complete map of a genome -- the blueprint of human life itself spread across three-billion pairs of molecules -- was the all-consuming Manhattan Project of biotechnology. The achievement, unveiled in draft form in 2001 and finished in 2003, was hailed as one of humanity's major scientific achievements. Since then, sequencing "has become an order of magnitude cheaper and faster" every couple of years, said Lynda China, a medical researcher at the Dana-Farber Cancer Institute in Boston. In 2007, the firm 454 Life Sciences did it in under three months and for less than a million dollars. In September that year, scientific maverick Craig Venter published his own complete DNA code, the first of a single individual rather than an amalgam from multiple sources. Cost: not disclosed. Last year, the price dropped to a quarter of a million, but still needed the input of dozens of experts. The new breakthrough, reported in the journal Nature Biotechnology, has become the latest benchmark. Even if only a dozen or so individual genomes have been sequenced to date, the process is on the verge of becoming commonplace and could, within a few years, cost even ten times less. One biotech start-up, Pacific Biosciences in Menlo Park, vows that by 2013 it will be able to unpack a complete DNA in a quarter of an hour for under a thousand dollars. A legion of potential applications are driving the research, ranging from "personalised medicine" tailored to your genetic profile, to exploring the earliest dawn of human evolution in the DNA of our ancestors' fossils. Quake discovered, for example, that he carries a rare genetic mutation associated with a heart disorder. He also learned that he is likely to respond well to cholesterol-lowering statin drugs that could help prevent heart disease. Complete sequencing is not to be confused with the gene kits offered by companies such as 23andMe or deCODEme, which offer only snapshots of DNA, not the whole shebang. "It's really democratising the fruits of the genome revolution and saying that anybody can play in this game," Quake said in a statement. Using a single fridge-sized machine and a process called single molecule sequencing, Quake and his colleagues diced up the more than three billion molecular pairings of the human DNA into millions of strands. The four molecular building blocks of DNA are adenine (A), cytosine (C), guanine (G), and thymine (T). The machine read each strand with the help of florescent markers, and then its powerful computers reassembled them back into a cohesive genome. "It's like assembling an enormous jigsaw puzzle by referring frequently to the picture on the box," Quake said, alluding to the reference genome held by the US National Center for Biotechnology Information. Overall, Quake's genome is 95 percent complete, on a par with earlier efforts. Suitably candidates are invited to applly for this scholarship. Applicants for PhD and MPhil should contact potential advisor (see list of JGSEE faculties and affiliate in our website) to develop research topics and draft proposal. A wide range of R & D topics are being pursued by the core and affiliated academic staff of JGSEE. However, focused research groups have been formed so that they may deliver R & D results with greater impact to the economic and society. Applicants who are interested in any focused research groups listed above should write 2-3 pages description of the tentative thesis topic. Applicants should contact the affiliated staff before undertaking this exercise. Please note that the affiliated staff you choose may be attached to any one of the 5 universities in the consortium. So when you choose the thesis topic and supervisor, please observe the name of the university he is attached too. It will be the place you are going to undertake your thesis study. 126 Pracha Uthit Rd., Bangmod, Tungkru, Bangkok 10140 , Thailand. All the documents you have to send as follow. - 2 recent photographs of 1-inch size; one must be affixed with this application form. PODCAST: "A Powerful, New Tool for DNA Research"
—Scott Silverman, Ph.D., Associate Professor, Department of Chemistry, University of Illinois at Urbana-Champaign, is interviewed by John Sterling, Editor in Chief, Genetic Engineering & Biotechnology News. Better approaches for manipulating DNA in the laboratory may soon be possible with newly discovered deoxyribozymes that are capable of cleaving single-stranded DNA, according to researchers at the University of Illinois. The deoxyribozymes accomplish the DNA cleavage with the sequence-selectivity and site-selectivity required for a practical catalyst, they add. During this week’s podcast Dr. Scott Silverman describes how his team discovered the new deoxyribozymes and looks at comparisons to restriction enzymes. He also discusses the significance of the finding for the life science research community. Dr. Silverman explains why he finds it intriguing that the novel deoxyribozymes require two metal ions, manganese and zinc, to carry out their catalysis and talks about where further research on these catalytic DNA molecules may be headed.